Stay current on the latest Department of Political Science news. Morris Dees "With Justice for All in a Changing America"
at Rollins College as a Thomas P. Johnson Distinguished Visiting Scholar. Find out what it was like to intern with Project Vote Smart in Montana from Political Science major Tristan Baker. 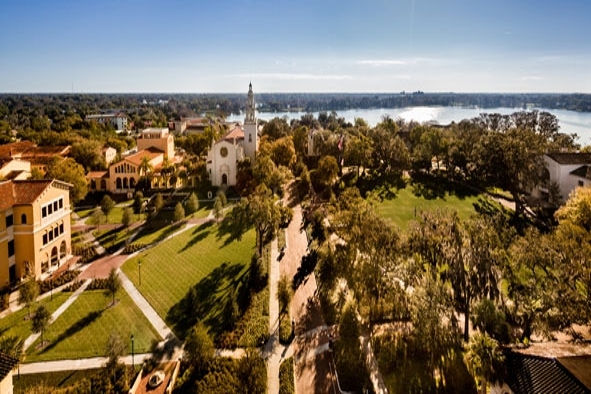 As part of Rollins’ Student-Faculty Collaborative Scholarship Program, Professor of Political Science Don Davison and Margaret Lewicki ’16 are trying to determine what factors influence voter turnout in elections. Political science professor Julia Maskivker organizes first-ever naturalization ceremony at Rollins. of the SPLC and its work in exposing hate groups today. We are celebrating Dr. Rick Foglesong’s 40 years as a professor. Congratulations, Dr. Foglesong! First-year students eager to dive into college get a crash course in how the world works and how they can be part of changing the narrative. Click here to read more about Professor Joan Davison's Globalization course spotlight. Crossing the far corners of the globe, Mike Gunter’s Tales of an Ecotourist showcases travel—from the hot and humid Amazon jungle to the frozen but dry Antarctic—as a simple yet spellbinding lens to better understand the complex issue of climate change. Myrna Perez from the Brennan Center for Justice at New York University School of Law joined us for a public presentation on the current voting rights environment in the United States, President Trump’s commission on voting integrity, and the adoption of restrictive voting requirement in states. As new faculty director of the Social Innovation and Entrepreneurship Hub, Dr. Dan Chong is dedicated to helping his students see the world differently. To read more, click here. 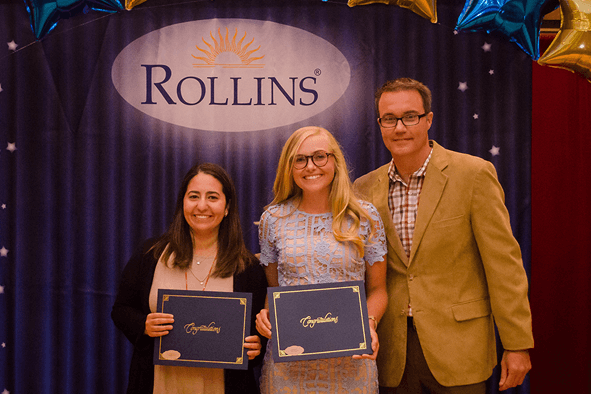 Raquel Leon, left, received the 2017 Outstanding Achievement in Political Science Award for her overall performance in political science throughout her college career. Paige Lyle, center, was recognized as the winner of this year’s Pi Sigma Alpha Award, which honors the student who most stimulates scholarship and intelligent interest in political science on campus. Raquel and Paige are pictured here with Professor Mike Gunter, chair of the Political Science Department. Dr. Gunter wrote an opinion piece on Brexit for the Dec. 2016 issue of the British, Czech and Slovak Review. He was also part of an eight-member American delegation hosted by the Taiwan’s Ministry of Foreign Affairs in July 2016. Professor Don Davison is invited to a special panel on 'The State of Voting Rights in America'. The 2016 presidential election was the first since the U.S. Supreme Court struck down critical elements of the Voting Rights Act. As a result, several Southern states and other districts were able to revise voter ID requirements and close or change the location of polling sites without federal approval. Read More. In this article, Professor Julia Maskivker argues that quitting on the news is not conducive to helping our democracy however difficult and frustrating staying informed may be. 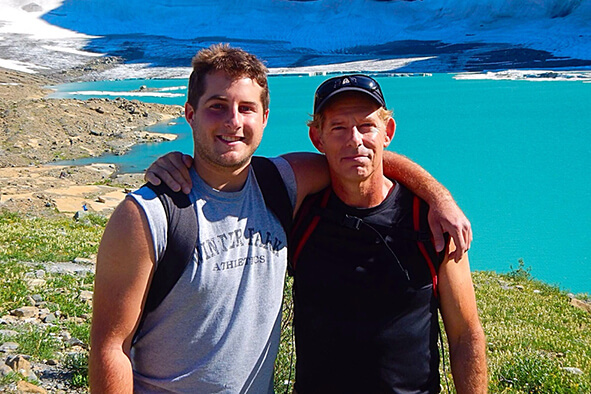 Political Science major Tristan Baker ’17 interned with Project Vote Smart in Montana. Read his recollection of the experience. 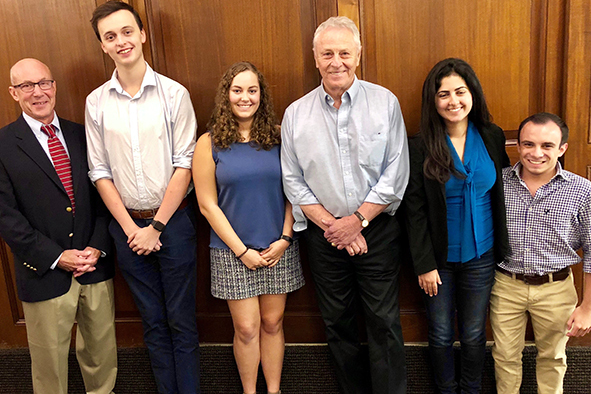 In their project The Comparative Effects of Electoral Laws on Political Participation, Professor of Political Science Don Davison (left) and Margaret Lewicki ’16 (right) are trying to find out what factors influence voter turnout in elections. Political Science Alumni Marco Hoilett accepted a prestigious Jessie Ball duPont fellowship upon graduation. The political science major spent his first two years after graduation working to build effective democratic communities. "I am extremely appreciative and grateful to be named a fellow for the Jessie Ball duPont Fund where I will spend the next two years working to build effective democratic communities," Hoilett says. "I would like to give a special thanks to Dr. Don Davison for his assistance during this process and the Political Science Department for preparing me for this new and exciting journey." 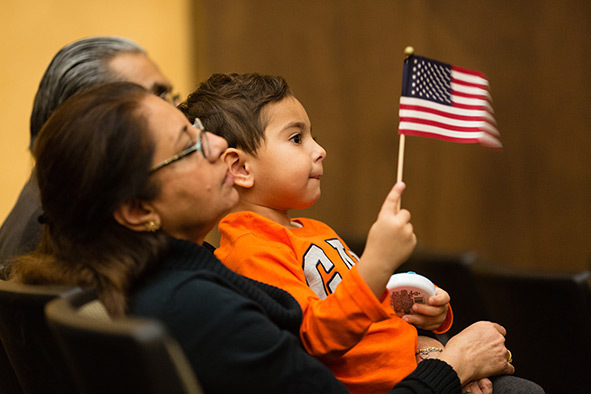 In November, Assistant Professor of Political Science Julia Maskivker, along with Melissa McGuire-Maniau ’15 and the Rollins’ Democracy Project, helped organize the first naturalization ceremony on the Rollins campus. ﻿Julia Maskivker explores how the Founding Fathers understood the work of freedom.